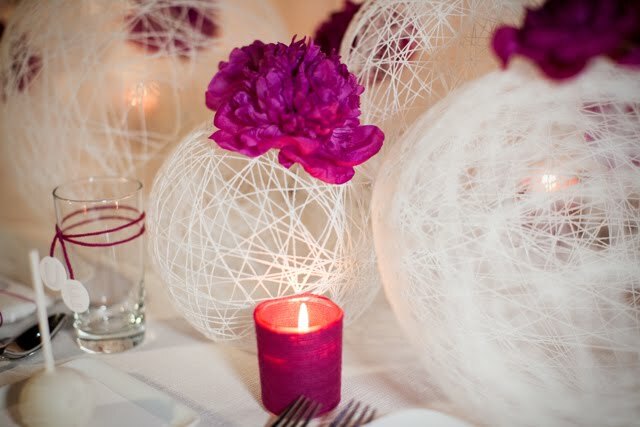 2. the focus of the tablescape should NOT revolve around flowers but rather some other element - paper, wood, metal, etc. 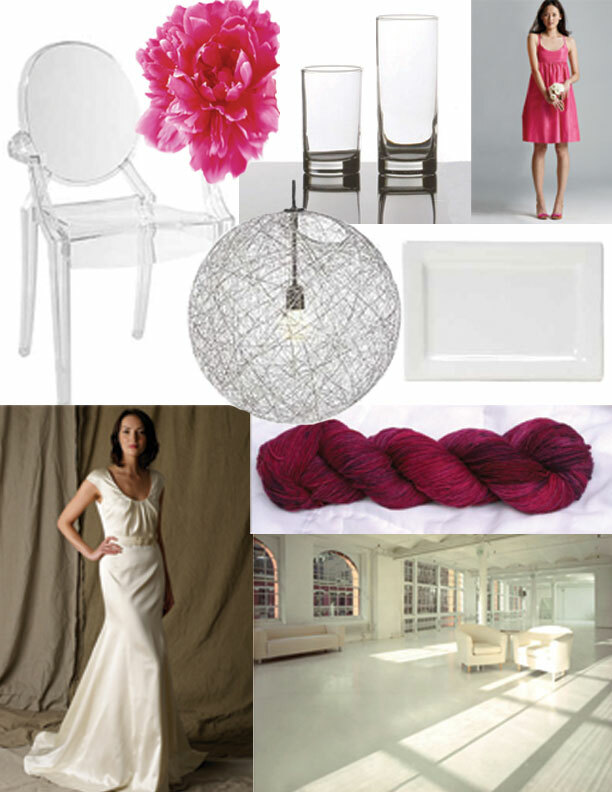 in a industry where it seems nothing is new under the sun, i REALLY wanted to do something different that NO ONE had ever seen before on a tablescape...so i turned to one of my favorite interior retail companies, design within reach, for inspiration...me and my husband have always been obsessed with their "pendant light fixture"...so i thought, what if we created a bunch of those and grouped them on the tablescape, accented with a couple big headed blooms to add a pop of color? and with that, the tablescape was born! and here is what we came up with!!! we just had to ask melody of sweet and saucy shop to contribute her delicious cake pops! they were dipped in white chocolate and the little lines on each pop emulated the string orbs on the table...perfect right? thanks to the utterly engaged girls for hosting a fabulous party and to jasmine star and jd for taking all the great photos! 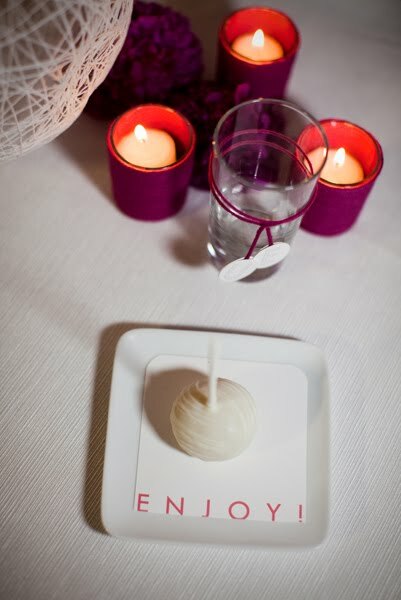 to melody for her yummy cake pops and to wildflower linens and classic party rentals for their contributions! LOVE this!! You are so innovative! I love this look! 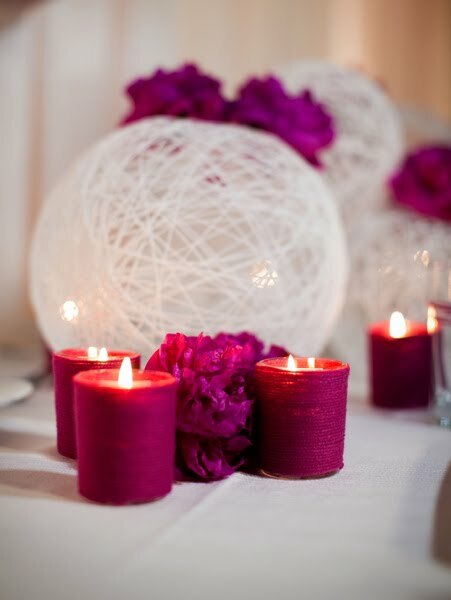 What a great idea making the orbs yourself. Love this so much! So gorgeous! it was an HONOR to work with you and Courtney!! I love your work! It was so fun to work with you two!! Oooo, so pretty! Loving the string pendants. Totally takes me back to primary school with the string balls!! I've had that idea filed away waiting for a re-appearance. I love it! 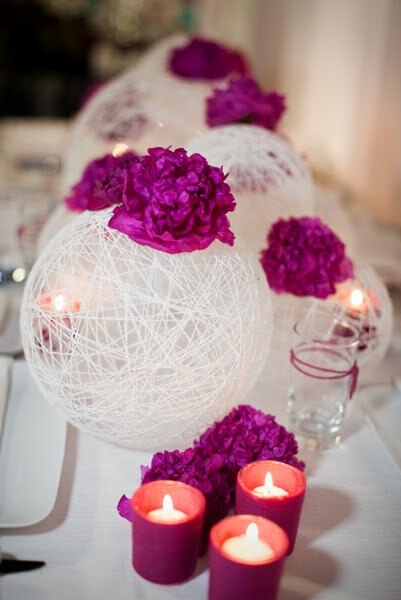 The pendant light inspired center pieces, the gorgeous dark fuschia peonies! Great job! This is so unbelievably awesome! 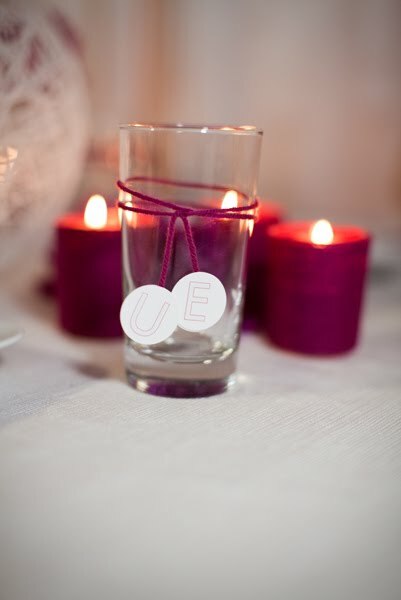 The string pendants are TO DIE FOR! 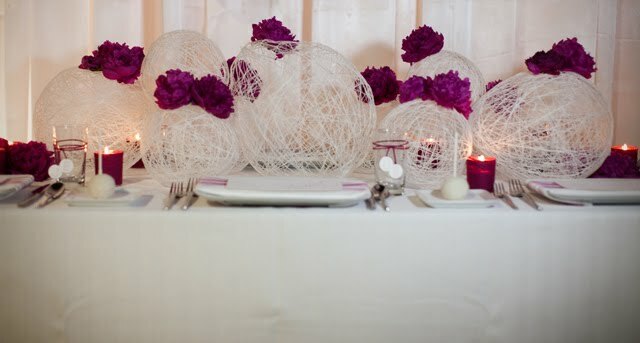 This tablescape is ah-ma-zing!! I love the whole idea of flowers not being the main centerpiece!! Something totally different and so gorgeous. There's always great inspiration on your blog! I HAD to come on here & thank you for posting this!! SO Fabulous!! I cannot even describe!! I may use the balloon & string idea in my wedding. 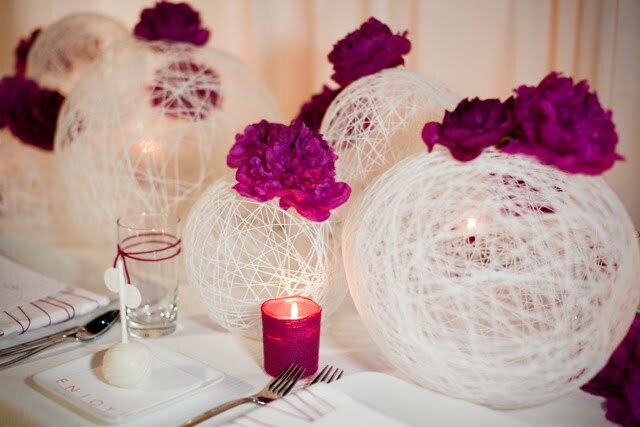 I love this tablescape, the string balls are just great such a simple idea that works so well. 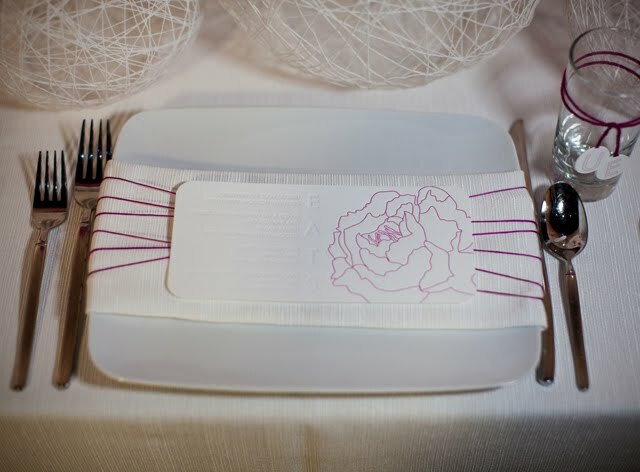 I just checked out all the other entires and your's is my favourite, so clean, simple and striking just what a modern tablescape should be. Wow! I never learned how to make string balls in elem school so I appreciate the instructions. What a great idea! Thanks for sharing.